A good 30 years ago, first-person point and click games were a very different beast. These progenitors were brutal and merciless not just in their difficulty, but how they often forced you to study every room to pick out hard-to-miss items while juggling timed puzzles that would sooner kill you than let you waste time dithering on their solution. The original Shadowgate, released way back in 1987 before heading to NES, N64 and Game Boy Color, revelled in this concept, and its titular dark fantasy castle was filled with dangers and death at every turn. Its basic graphics might not be so easy on modern eyes, but to Atari, Amiga and Apple players of the late ’80s, they were a bloody revelation. 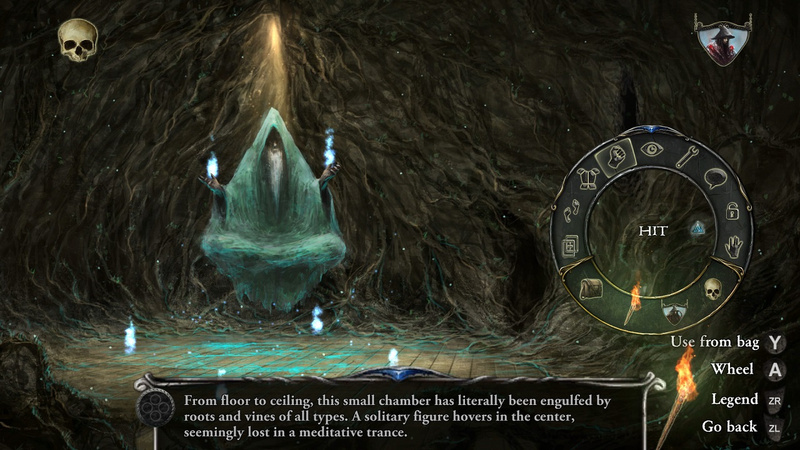 Of course, like most things with any sense of nostalgia involved, Shadowgate was Kickstarted and eventually remade back in 2014 and released to relatively decent reviews. And, like most retro remakes, this ‘new’ iteration has now eventually made its way to Nintendo Switch. The question is, how does a point and click adventure game made with PC in mind fit on a handheld platform? 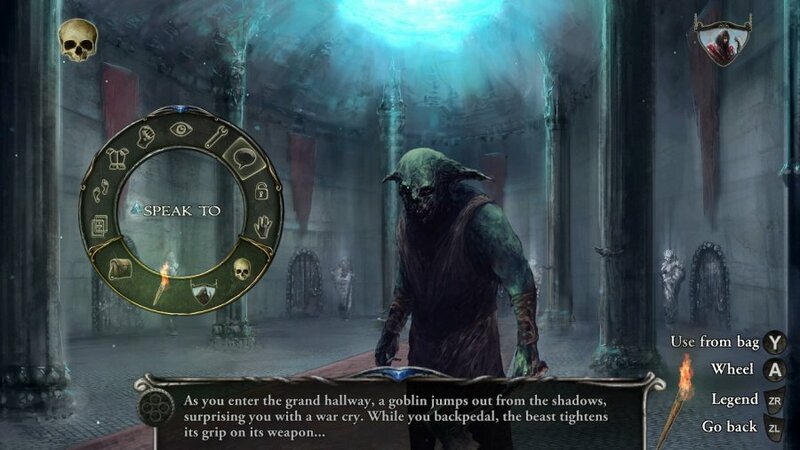 Well, thankfully, this vicious little adventure arrived on smartphones and tablets just over three years ago so Shadowgate has already been optimised for the hands-on controls of a touchscreen device. Tapping on items in your inventory and searching for interactive elements in a given chamber is never going to have the same dexterity as a mouse and keyboard, but when mixed with a helpful mapping of actions on the Joy-Con (clicking ‘ZL’ to go back to a previous room, ‘L’ to open up a quick access hot menu, etc) you’re given more than enough control to ensure you can act in good time should quick wits be required. And you’ll need them often, because you never know when death is going to claim you. As a hero from a dwindling line of kings, you’ll need to enter a castle twisted by the machinations of a warlock who wants to raise a powerful demon from the depths of the underworld. 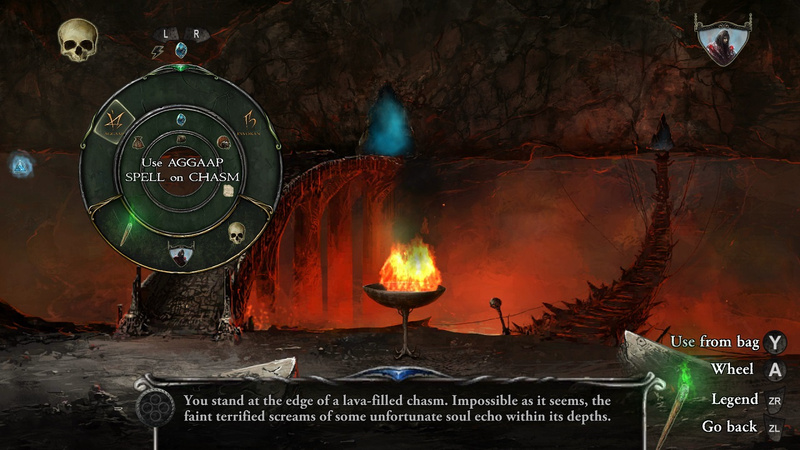 It’s classic ’80s dark fantasy to a tee and when paired with the gorgeous backgrounds of this modern remake – which look like concept art come to life – the world of Shadowgate is finally given the choose-your-own-adventure atmosphere it so richly deserves. It also makes it a little more palatable to modern eyes. For those who enjoyed the original line of MacVenture games, you won’t be disappointed with this remake. The puzzles, traps and challenges from the original are recreated here, and that includes the constant threat of your own doom. You’ll always need to have a lit torch in your hand, because without it, you’ll be plunged into total darkness, where a single step could see you tripping and breaking your neck on the cold flagstones at your feet. 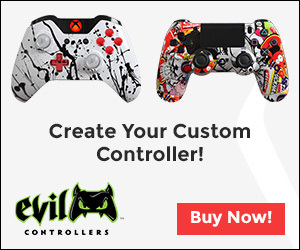 You can save and load at any time (quick loading and quick saving are mapped to a click of either analog stick for swift access), and you’ll be thankful when you accidentally unleash a banshee and be cursed for your troubles, or enter the lair of a dragon and burned to a crisp because you didn’t equip your shield in time. And that’s just in the first hour or so. 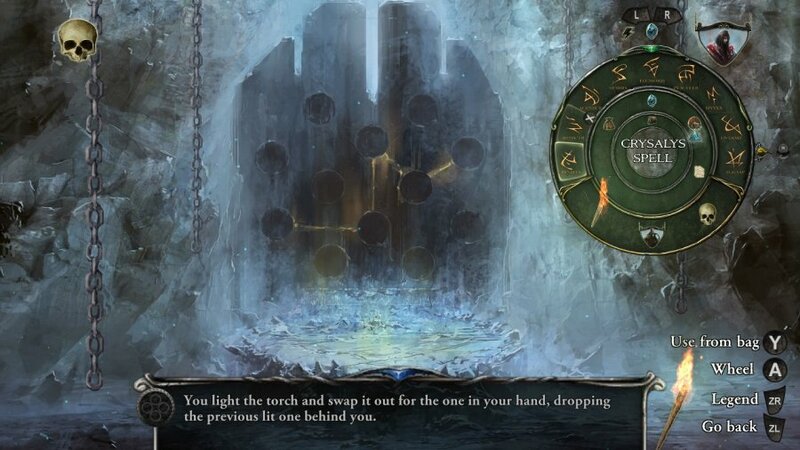 Shadowgate is constantly trying to bump you off this mortal coil, but once you’ve mastered the simple rules of contextual item inspection, use, and combination there’s a great sense of satisfaction to be found amid its interconnected chambers, caverns and dungeons. Some puzzles have been added and others extended in complexity, but for the most part, the mechanical bones of the original game have been preserved. Three decades ago, this kind of ultra-obtuse puzzle design was far more acceptable, but now some conundrums are so utterly devoid of logic that it’s easy to miss something vitally important a few rooms previously. This remake does include four difficulty modes – including the ultra-merciless Ironman mode (disabling saves and requiring you to finish the game in a single run) – and even includes the option to switch back to classic pixelated transitions and reinstate the Hiroyuki Masuno chiptunes created for the original NES port. It’s a shame you can’t flip back to the classic visuals, but these little extras prove this really is an adventure for fans of the original who like a heavy dose of retro and nostalgia with their gaming exploits. However, Rich Douglas’ new score offers a fine alternative that does the grim fantasy setting plenty of justice. Shadowgate on Nintendo Switch is very much the same reboot we saw on PC back in 2014, taking the same mix of puzzles, difficulty and exploration the original was famed for and mixing it up with some enhanced conundrums and much more appealing presentation. Even with the updated visuals, Shadowgate still has a clunky UI, however, the button mapping on Switch does help negate this issue a little. Problems aside, this is a faithful remake that retro fans will lap up, although newer players might find this elder gaming statesman has teeth that bite a little too hard.